When the prices were announced for this sailing, a special disclaimer was released noting that if you book a stateroom that was Concierge Class or higher, you’d get some extra perks. 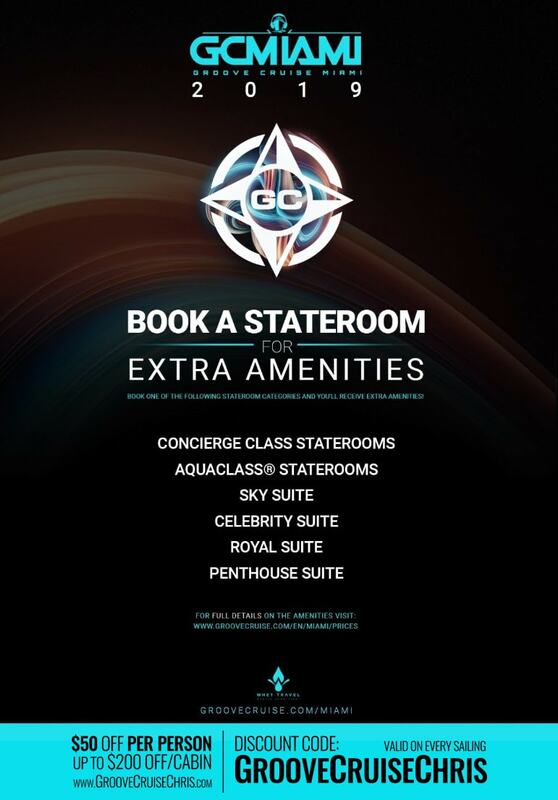 Here’s all the Groove Cruise Miami 2019 extra amenities by stateroom. Starting with the Premium Beverage Package, typically a paid extra, every Concierge Class or higher stateroom gets this add-on included for everyone in cabin. This package is priced at $67+15% taxes/fees per person per day for this event. 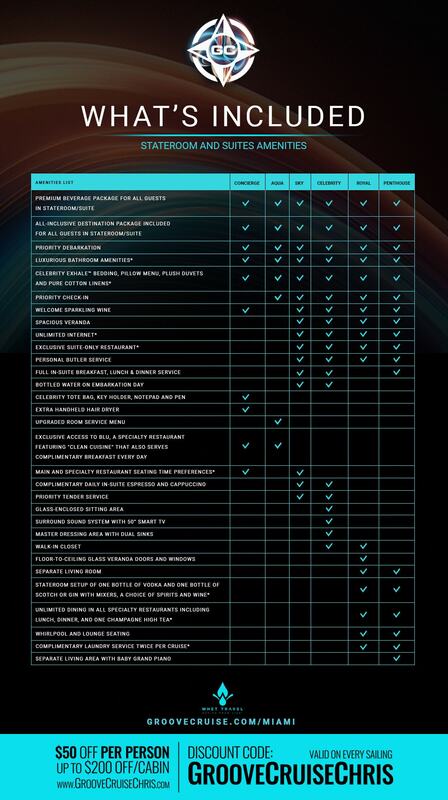 My math says that’s a $316.24 value per person if you were planning on buying this add-on anyways. The Celebrity Infinity is absolutely the most luxurious ship to have the honor of being taken over by the GCFAM. Make the most of the experience by booking one of these staterooms for extra amenities. The answer to “when should I book?” is always “now”. With payment plans available and lots of discounts to take advantage of, booking now gives you peace of mind knowing you got the best price and the best selection of cabins. 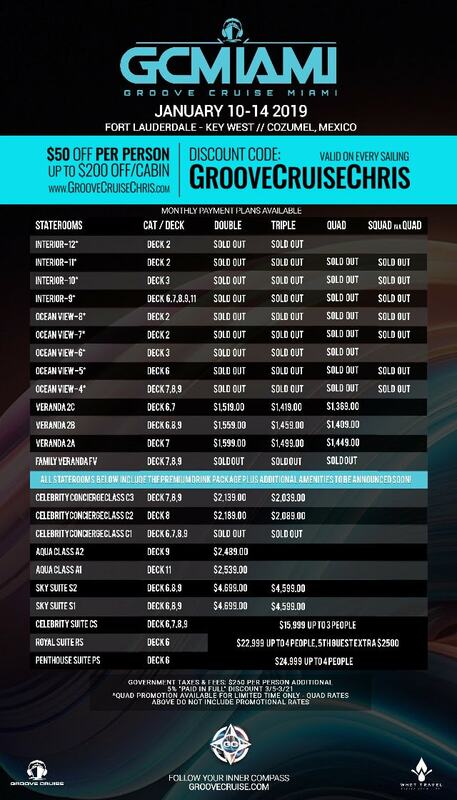 Of course, be sure to use discount code GrooveCruseChris (How do I use this code?) for a super easy and instant $50 off/person. Can’t beat that. 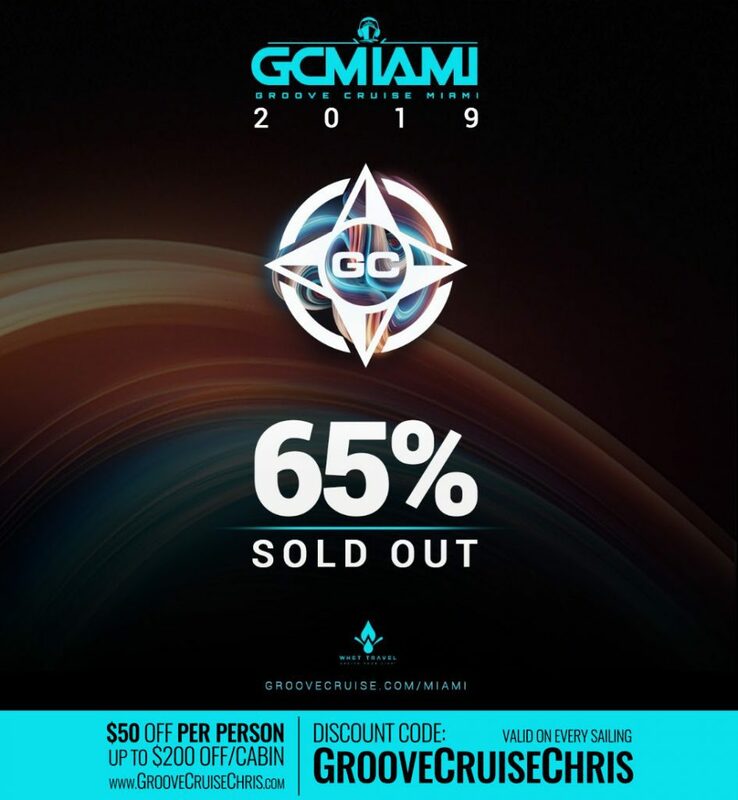 Click here to get all the latest information on Groove Cruise Miami 2019.